Note: This is a consolidated post of several blog posts from the years 2012-2015 that were either retrospective year-in-review posts, or looking forward to the next travel year. Here it is, the awkwardly self-indulgent year-end retrospective! In 2012, I did not travel abroad, but I still managed to have one of the most exciting travel years of my life, spending time in 15 states, ranging from the hot sands of southern California beaches to icy glaciers in Alaska. These were my favorite experiences of the year, presented in no particular order. 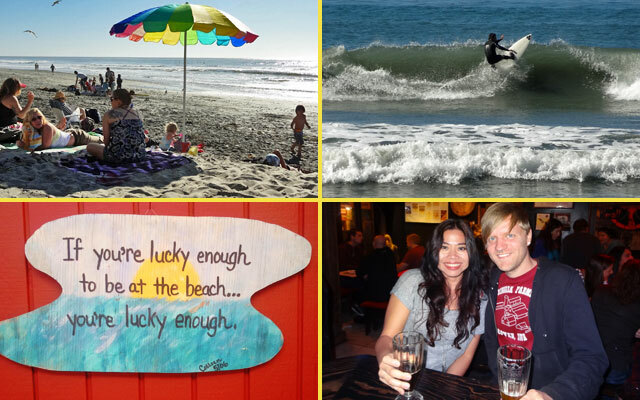 I look forward to hearing your stories as well – what was your own favorite travel experience of 2012? Leave a comment at the bottom! 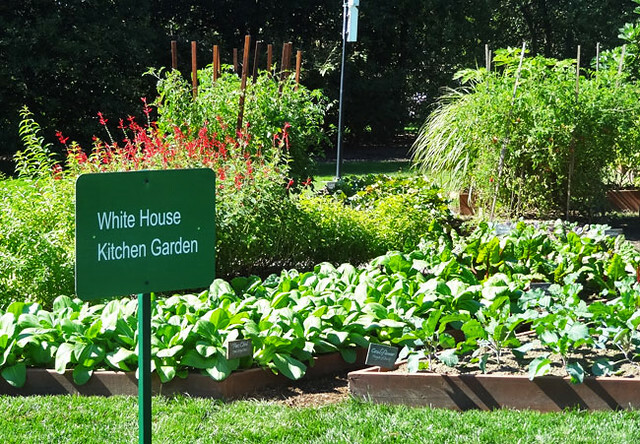 I’m still amazed I got the chance to walk within a couple feet of the rear entrance of the White House, to see Bo, the First Dog, and to examine Michelle Obama’s vegetable garden up close. The best part is that it was completely unexpected. I just intended to snap a few distant pics of the White House when I discovered they were giving away free tickets for the tour that day. 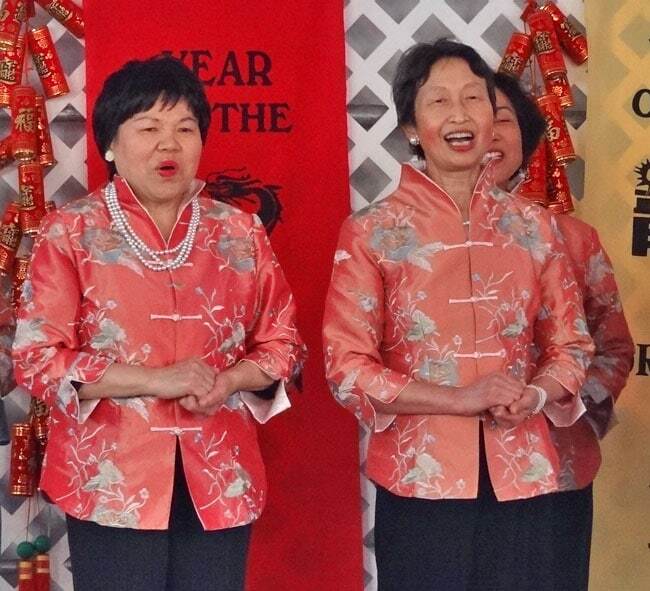 A cultural fair celebrating the Chinese New Year just a few blocks from my hostel in San Diego? Score! This was an enlightening afternoon, featuring giant human dragons, freshly made food, and older women singing traditional Chinese songs. To me, few people in American history are as awe-inspiring as Martin Luther King, Jr. This was true both at the National Civil Rights Museum in Memphis, which was built around the hotel where he was assassinated, and at the National Historic Site in Atlanta, which I visited about a month ago. 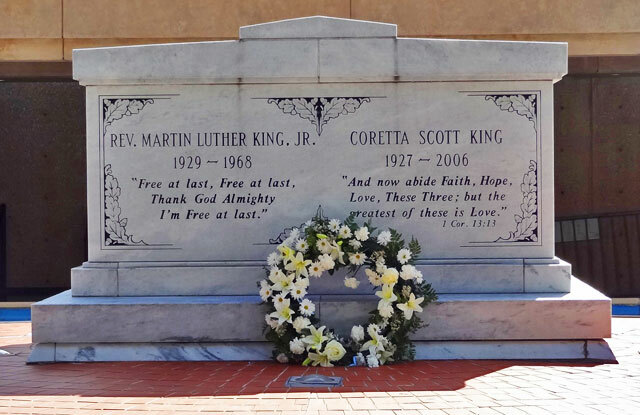 I can’t even describe the powerful emotion as I sat in the pews of the church where he used to preach, listening to recorded sermons from the 1960s coming out of the speakers, and as I visited his tomb and his boyhood home. Though we had a rough start to our Denali backcountry adventure, with lost luggage and frozen tents, the trip ended up giving us close-up views of grizzly bears, moose, caribou, and dall sheep. You feel very small sleeping out in the wilderness on the land that belongs to these animals. 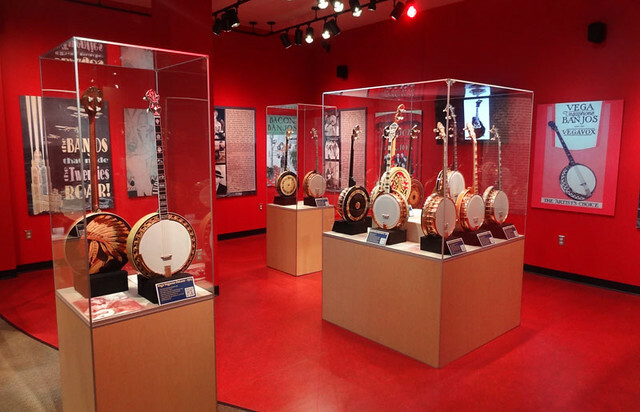 Featuring everyone from Johnny Cash to Taylor Swift, the Country Music Hall of Fame was a ton of fun. Even though I’m only a casual country music fan, there was more than enough memorabilia to entertain, including Carl Perkins’s blue suede shoes, a huge wall of gold records, Elvis Presley’s gold piano, the set of Hee Haw, and handwritten Miranda Lambert lyrics. 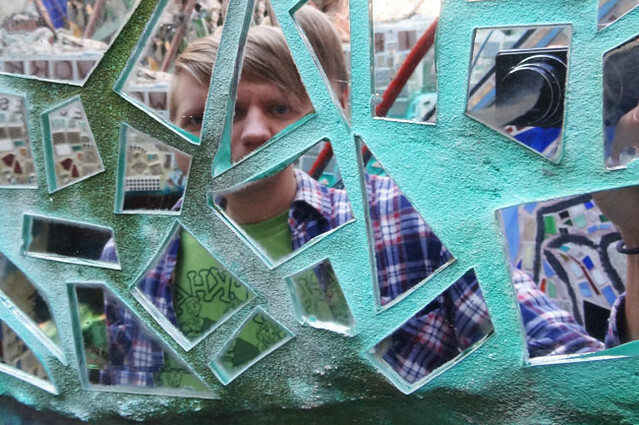 I was excited to discover mazes of mosaics of broken glass, old china, bicycle tires, empty bottles, children’s toys and other repurposed junk at this amazing art installation on South Street. It’s one of the coolest art sites I’ve seen in the U.S.
You don’t get to experience tundra conditions in the lower 48 everyday, and it’s even rarer that you can drive at these high elevations. Rocky National Park in the summer offers such an opportunity on Trail Ridge Road. The wind was fierce, the marmots were active, and the views were spectacular. 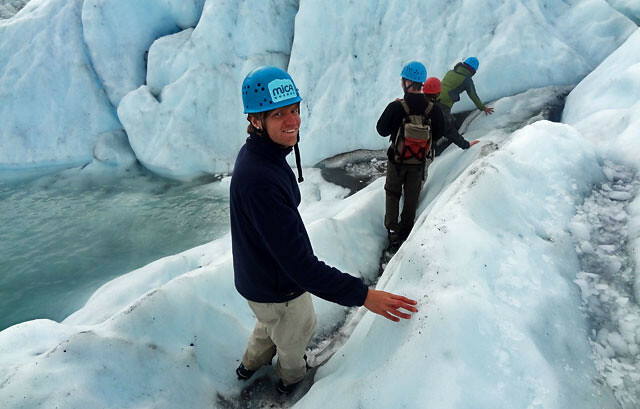 My first crampon experience came on a guided tour of Alaska’s Matanuska Glacier, where I avoided crevasses, navigated narrow channels and drank some of the cleanest water in the world from running streams. Getting to see the inside of a constantly-moving glacier and seeing its flowing rivers and melting chunks of ice is a life experience I highly recommend. Leaving frigid Chicago in January for San Diego was awesome, and so was hanging out on the beach with Grace from Pinay on the Move and Christy and Scott from Ordinary Traveler. The evening ended with my first-ever taste of banana bread beer, which tasted as awesome as it sounds. I also go to stop by the San Diego Zoo! In Philly I ordered some history to go with my cheesesteaks. 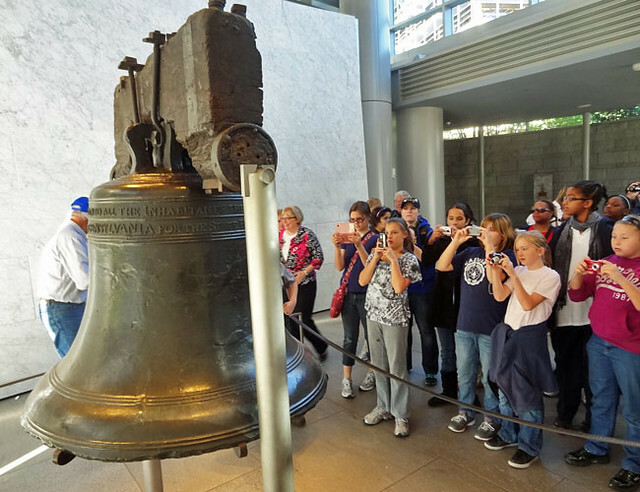 It’s easy, when the Liberty Bell, Independence Hall, Old City Hall, Carpenters Hall and the National Constitution Center are all within walking distance of each other. And Ben Franklin’s likeness is all over the city, to a hilarious degree. Visiting my friend Keilan in Greensboro led to some unexpected fun, like camping and hiking, the Ava Gardner Museum, the birthplace of Pepsi, and the ACC Hall of Champions, where you can pose with life-size university mascots. 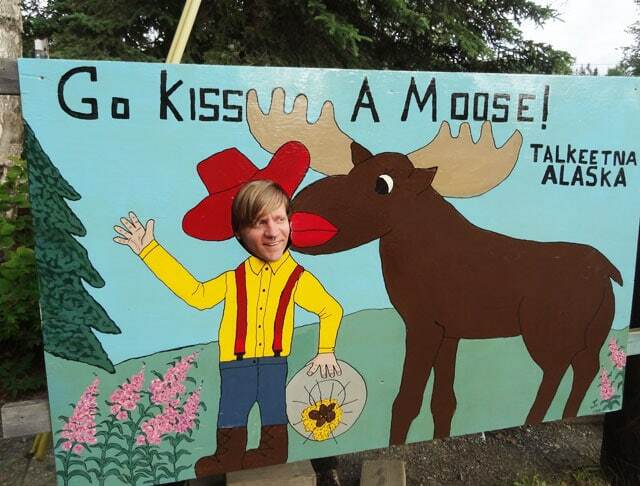 If you ever go to Alaska, absolutely do not miss the kooky little town of Talkeetna, which has a cat for a mayor, plus silly gift shops, wooden moose, restaurants that serve caribou chili, and an overall hippie atmosphere. 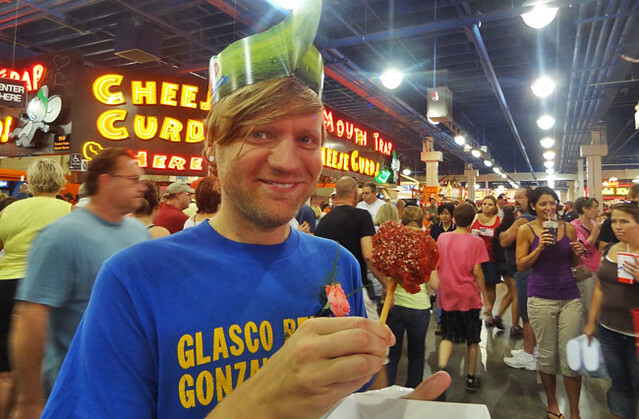 There were plenty of cheesy highlights at the Minnesota State Fair, from the beauty queen faces carved out of butter to the 1,200-pound pumpkin to the paintings made from seeds. My favorite thing was the food selection. I was tempted by the poutine, fried pickles, and deep-fried Spam curds, but ended up going with the spaghetti on a stick. Sometimes, you just need a weekend getaway to recharge the batteries. 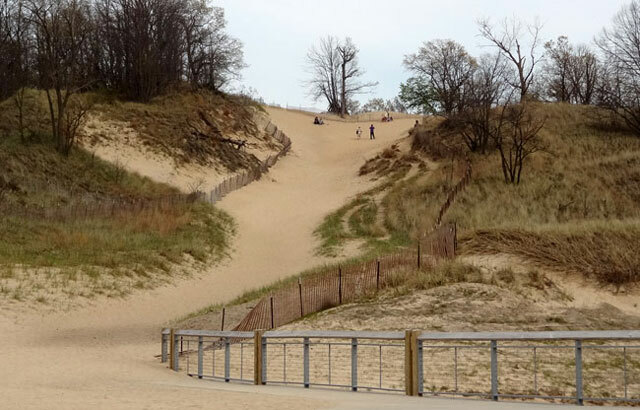 I got out of Chicago one weekend and headed to Indiana Dunes State Park, which features a campground along the shores of Lake Michigan where huge sand dunes have built up over the years. 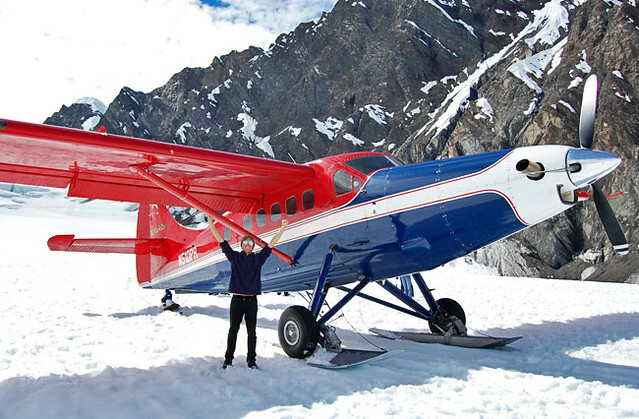 Saving the best for last, we had the opportunity to ride in a small plane and land on a glacier in Denali National Park in Alaska. The entire experience was unforgettable, from the amazing views to the thrill of landing in a totally white universe of mountains. Active volcanoes, remote forested islands, and colorful culture are among the qualities found in the list of places I want to travel in 2013. Now that I’ve recapped 2012, it’s time to look forward to new adventures for the next 12 months. Although I’d love to go to faraway lands like Antarctica, Iceland and Kenya, I’m sticking with places closer to home that are more realistic on my current budget. Just one state remains on my quest to conquer all 50, and that’s the tropical chain of islands out in the Pacific. The only problem is that when I finally make it to Hawaii, I can’t just spend a couple days in Maui or Honululu and come home. I’d need to visit several islands over the course of a couple weeks to see all the hot spots and hidden attractions. Of course, given my interest in quirky sights, I want to play in the snow in Hawaii. How many people can say they did that? The summit of Mauna Kea in Volcanoes National Park sometimes sees snow in the winter, so I’d do my best to plan a trip during the coldest months. Of course, when I’m not at the mountain, I would absolutely be hanging out on the beaches. I’m not crazy enough to pass that up. Edit: I finally made it to Hawaii in 2016, visiting spots like the Koko Crater Trail, Pearl Harbor, and Hawaii Volcanoes National Park. My friend has relatives in Mexico and one of them is getting married next summer, so I may end up there for a few days. I’ve only been to Cancun and Tijuana so far, so it’s exciting to possibly have an opportunity to get into the small towns in the heart of Mexico to see how the locals live. 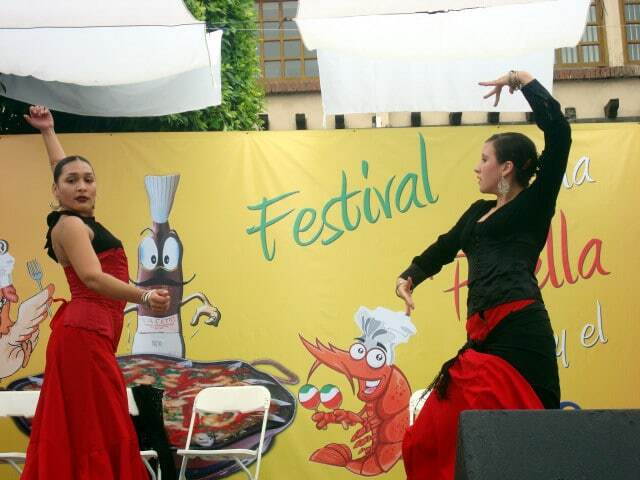 Also, I hear Mexican weddings are one giant all-day party – much more out of control than American ceremonies! Edit: I eventually made it to Coahuila and saw lots of interesting sights, including a small-town Mexican cemetery. Montreal strikes me as one of the most European cities in North America, based on the heavy French influence and all the great things I’ve read about the city’s arts and music and food scenes. If I still had my travel van, I would certainly have visited by now – in fact, I’m sure I would have done a coast-to-coast Canadian road trip – so I’m way overdue in checking out this city. Way up in northern Michigan out in Lake Superior sits Isle Royale National Park, a 45 mile by 9 mile island accessible only by boat. It’s one of the most remote U.S. national parks, thus making it one of the best places to find seclusion. There are 165 miles of hiking trails and lots of moose and wolves on the isle. Hiking, camping, and wildlife viewing, all in the Midwest? Sign me up. Edit: I finally made it to this park in 2017 and published a complete guide to camping and hiking in Isle Royale National Park. 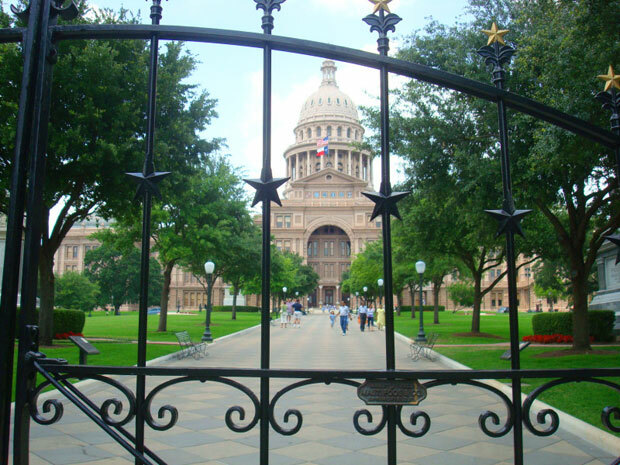 I’d like to spend a good three weeks road-tripping just around the state of Texas, since the only city there in which I’ve spent any significant time is Austin. It would be fun to do a full month of coverage, just as I did this year for Alaska. Besides finally getting to check out Houston, Dallas, and San Antonio, I want to get to know some of the small towns, plus Big Bend, a largely-ignored national park that borders Mexico. Even before National Geographic named it one of the must-see places for 2013, I wanted to visit the Great Bear Rainforest off the western coast of Canada. The big appeal is the rare white-coated spirit bear, but many visitors there never see one. Even without the bears, this land is beautiful, remote forested terrain. Then again, this area has been seeing more visitors, perhaps too many, so I’d have to think over what the impact of a visit there would mean for the environment. 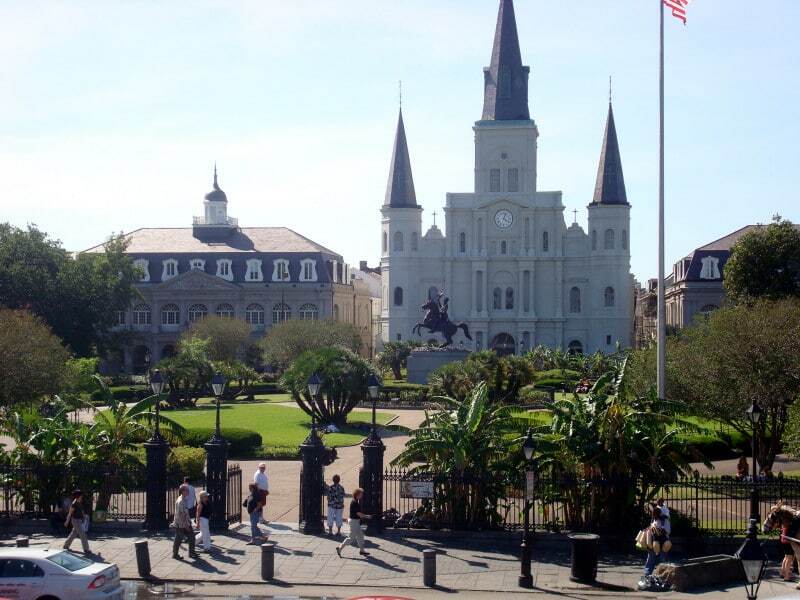 I’ve been to the Big Easy once and have been dying to go back ever since. 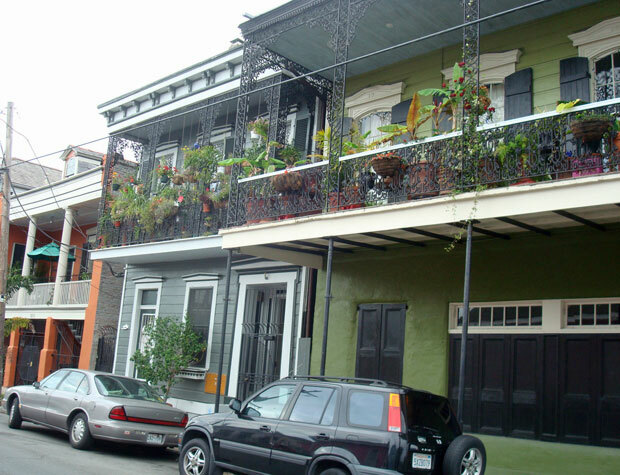 I love the laid-back and friendly atmosphere, the craziness of Bourbon Street, the history in the old mansions, and the famous Cajun and Creole food. Plus, there are so many more quirky attractions to check out beyond just the grave of the voodoo queen that I found last time. I may just have to go all-out with the NOLA experience and drop by during Mardi Gras. You’ve probably realized by now that I enjoy islands off the mainland of the U.S. and Canada. I was so excited to discover this group of 34 islands in Massachusetts. When I think of the stretch of land between New York City and Boston, I think of traffic and crowded neighborhoods without an inch of free space. It’s amazing that so close to Boston you can find these more remote places with beaches, forests and primitive camping. The Harbor Islands look like a great place for a getaway. Before putting 2013 in the rearview mirror once and for all, I have to recap some of my favorite posts from the past 12 months. Last year was perhaps my most exciting travel year yet, with several trips throughout the U.S., Canada and Mexico. 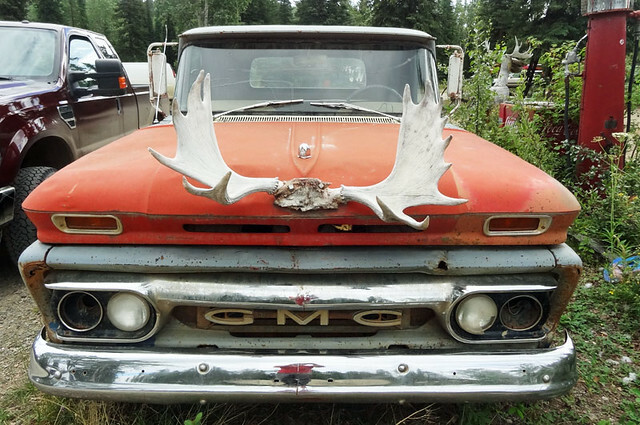 The highlights of ’13 included visits to a recently-abandoned ghost town in Oklahoma, two small towns in Mexico, and one of the coolest little cities in one of the most unexpected places – Canada’s Yukon territory. 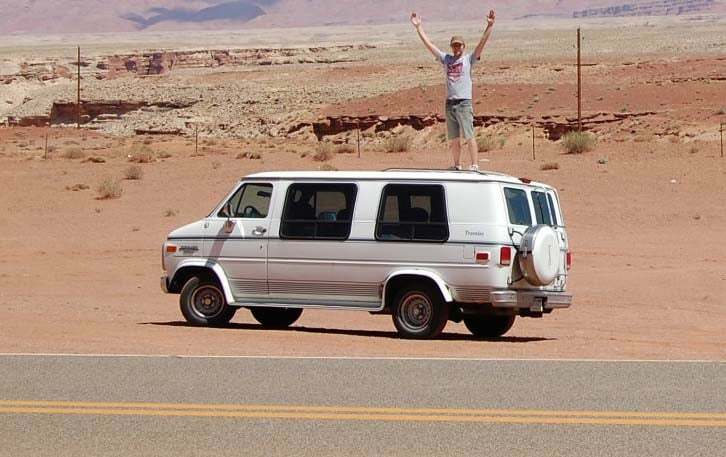 These were the most memorable travel moments in Quirky Travel-land. It’s just what it sounds like – elephants creating paintings at the zoo. You can watch them paint and even take home their masterpiece once they’re finished. The most eerie travel experience I had in ’13 was visiting a town that went from thriving community to abandoned ghost town in less than ten years. I’m descended from Amish royalty. Really. A trip to Amish Country in Ohio provided an opportunity to trace my ancestry back hundreds of years and meet some long-lost Amish relatives. 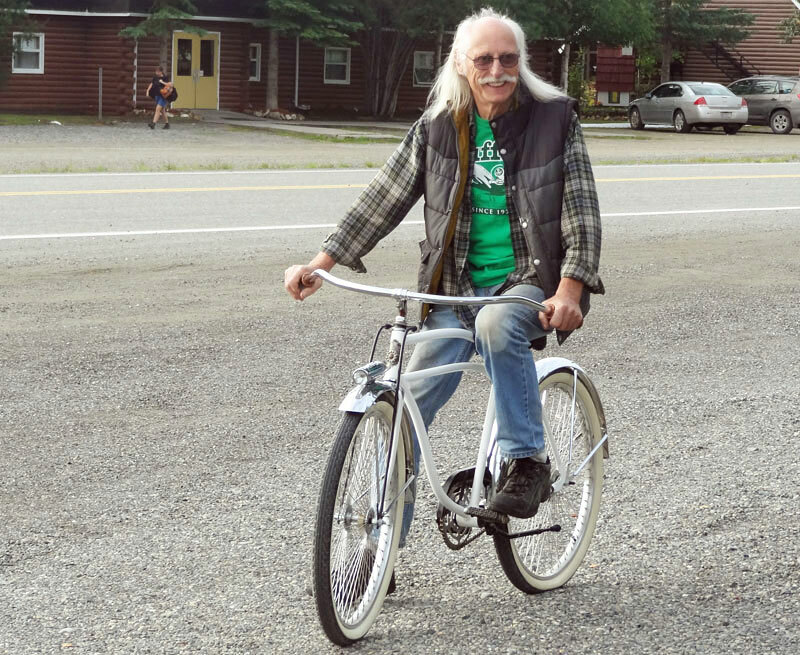 One of the coolest characters I met this year was Sid van der Meer Sr. from Beaver Creek, Yukon, who has a massive collection of bizarre antiques, like a 77-million year old turtle fossil, old Alaska Highway milepost signs, and unopened mail from 1920. At the tallest classroom building in North America, the Cathedral of Learning at the University of Pittsburgh, you can visit classrooms from more than two dozen countries in the span of less than 30 minutes. I let some of the coolest couples from the travel blogging world offer their advice and memories in this special Valentine’s Day post. This year, a group of activists bought a house across the street from the infamous Westboro Baptist Church and painted it in the colors of the rainbow flag. I paid a visit to see it for myself. Wherein I try to give some love to the national parks that see the least traffic year in and year out. Give it a read and consider adding Dry Tortugas, Great Basin, and Isle Royale to your bucket list. At the conclusion of the Coke factory tour in Atlanta, you can sample Coke flavors from around the world. I sat there and tried all 60. Among my favorites: Smart Apple from China, Fanta Melon Frosty from Thailand, and Bibo Candy Pine Nut from South Africa. The Newseum in Washington DC is my favorite museum in America. Find out why. 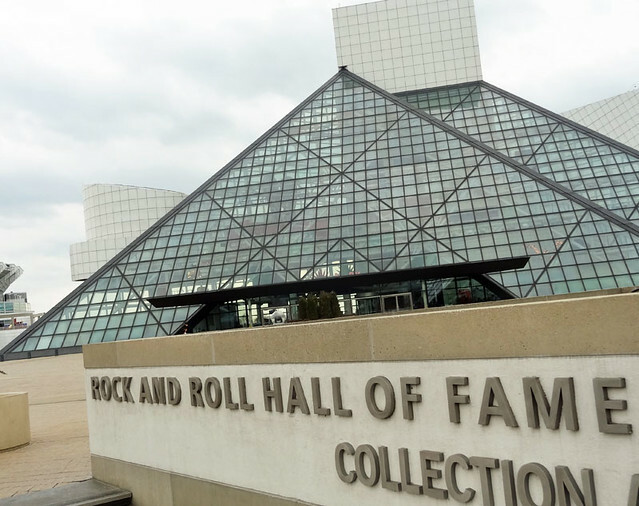 Cleveland’s Rock & Roll Hall of Fame finally started allowing visitors to take pictures, and I put together one of the first photo essays from the place shortly thereafter. Lots of good pics here including artifacts from Michael Jackson, Little Richard, Janis Joplin, Jimi Hendrix, and dozens more. There’s a town way up north in Canada’s Yukon territory that reminds me a lot of Key West, Florida due to its quirky, hippie, friendly vibe. 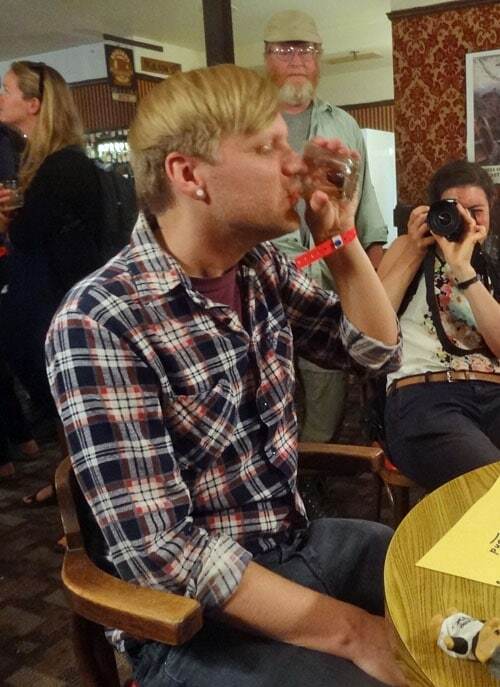 I consumed the infamous Sour Toe Cocktail, a Dawson City drink that includes a real mummified human toe inside the glass. The colors and the unique remembrances are what stood out most at these small cemeteries in Villa Union, Mexico. The best photo essay I’ve ever published on the site. Check out 60 unique images from around the Yukon territory. 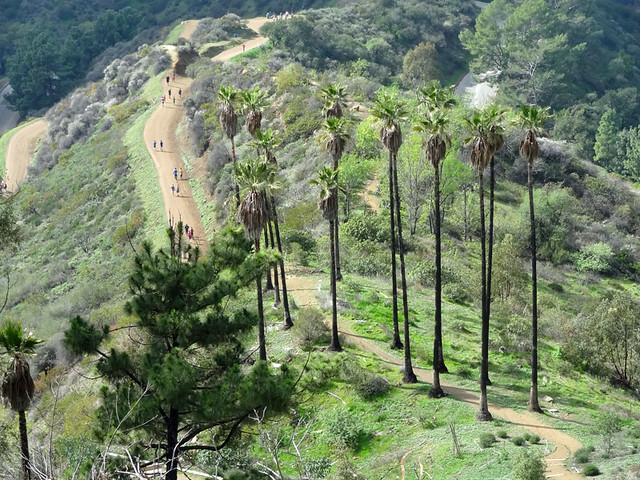 The Hollywood Hills of Los Angeles are an awesome place to hike, because in addition to the nature, you can spot wildlife, celebrities, and the Hollywood sign. I had to be honest about the sad state of this Ivy League-affiliated museum. This year was one of my biggest travel years yet, with seven big trips across Canada, Mexico, and the United States. My Instagram feed tends to be even quirkier than this blog – see that strange photo above from Texas – so rather than re-hashing what I’ve already written over the past 12 months, I’ve decided to relive the year via Instagram pics. I learned two things while putting together this post: I had a really amazing year, and I need a new phone with more vivid contrast and better editing apps. 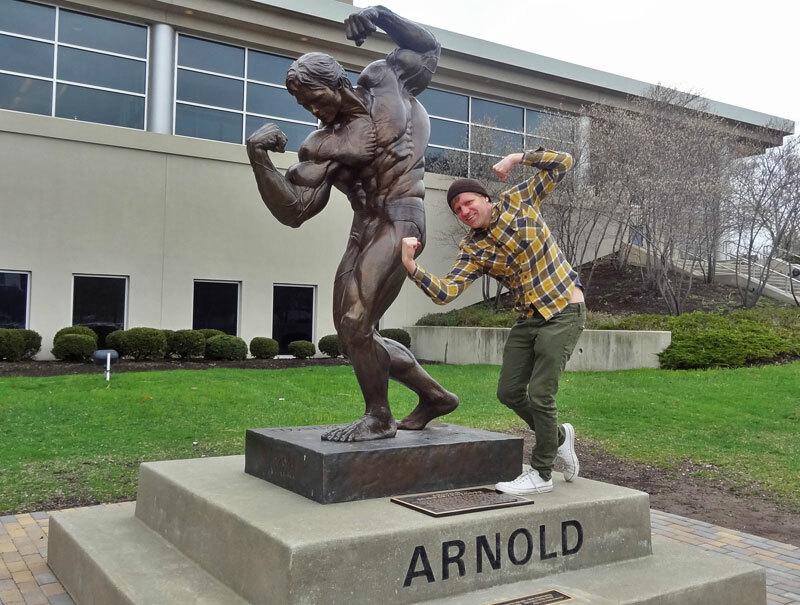 Check out my adventures via this chronological recap, and don’t forget to follow me on Instagram! The year began with a friend and I taking a week-long ultra-budget vacation in L.A., during which we got around town exclusively by public transportation. The cool sights of L.A. ranged from elderly faces in street art to an image of Liz Taylor composed of bits of junk mail to oranges at the Hollywood Farmer’s Market. 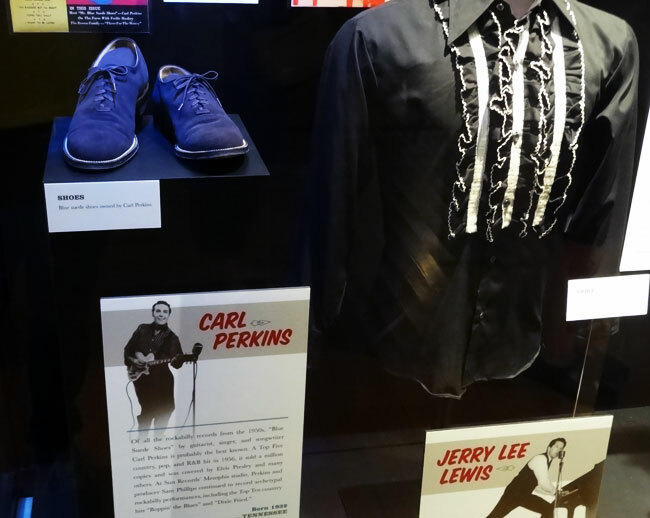 A weekend visit to KC provided enough time to enjoy some barbecue chicken (which made my list of the 10 best things I ate in 2013), enjoy some jazz music, and see an Alice Cooper-autographed baby doll at The Science of Rock & Roll exhibit at Union Station. Then I headed into Kansas, where I spotted the rainbow house across the street from the infamous Westboro Baptist Church. Sights from my home city included the Chicago River dyed green for St. Patrick’s Day, the Leaning Tower of Niles (a mini replica of the Pisa landmark), and a giant Connect Four game at a street fair. 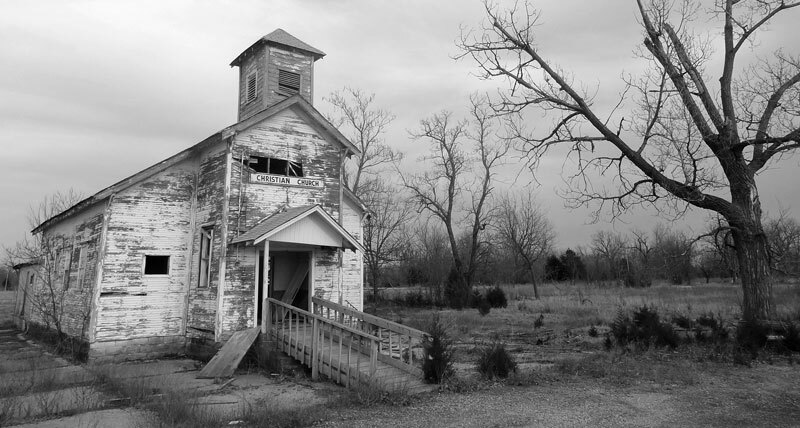 Oklahoma was full of quirky and unusual sights, from the American Banjo Museum to bizarre soda flavors at Pops on Route 66 to the abandoned toxic ghost town of Picher. My week in Ohio was one of my favorite trips of 2013. 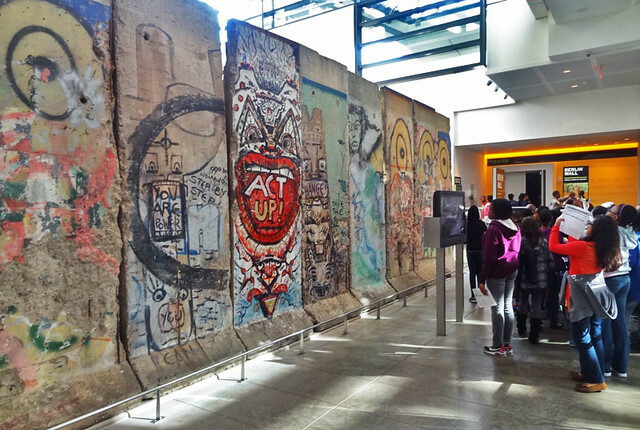 Besides seeing items like Run DMC’s classic Adidas shoes at the Rock & Roll Hall of Fame in Cleveland and hanging with Arnold Schwarzenegger in Columbus, I had some awesome Amish experiences in Berlin. I met some long-lost Amish relatives, watched an Amish broommaker at work, and got to ride in a real Amish buggy. I loved visiting Toronto again, hanging out with other travel bloggers at the TBEX conference, cooking dinner with bloggers as part of a Top Chef-style competition, taking a ferry ride to the Toronto Islands, visiting the quirky Shoe Museum, and seeing the Stanley Cup in person. I spent a week in the great north of Yukon, Canada, visiting Whitehorse and the amazing town of Dawson City. My Yukon highlights included encountering black bears on the side of the road, seeing glaciers from above while flightseeing, viewing First Nations art, finding real gold while gold panning, and becoming a member of the Sourtoe Cocktail Club. What is there to do in Indiana? Lots, like kissing the bricks at the Indy 500, seeing cute little stuffed Vonneguts at the Vonnegut Library, watching elephants create a painting, hanging with Orville Redenbacher, and visiting Michael Jackson’s birth house. Shenanigans in Texas included feeding zebras up close at the Natural Bridge Wildlife Ranch, seeing Darth Vader on the San Antonio riverwalk, and buying snow cones at the Alamo. I finally got to visit small-town Mexico in the state of Coahuila. I ended the year with a ride on the Chicago Christmas subway train. Hey there, Santa! The title says it all. After a year in which I visited Louisville, Detroit, Puerto Vallarta, New Orleans, Houston, and Shreveport, among others, where am I hoping to find quirky adventures over the next 12 months? Here’s my 2015 bucket list. I’ve been to numerous national parks over the years, from Denali to Death Valley to Yellowstone. One that has eluded me so far is Glacier in Montana. It has everything I want: Hiking and camping opportunities, bears, mountain goats (the one large mammal I still haven’t seen in the wild! 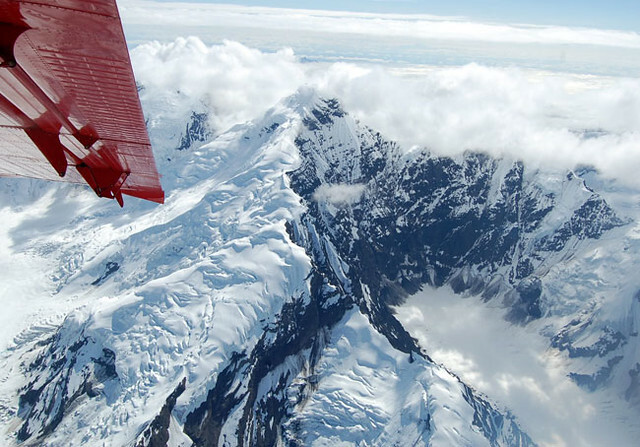 ), and of course, glaciers, which are melting fast and could be gone within another decade. This is my top priority among national parks. It’s been too long since I experienced New York City. My last visit was in late 2012, and that was only a day trip. The time has come to return, and this time I want to focus on Brooklyn, Manhattan’s cooler cousin. It would be awesome to spend a few days in the B-K and explore beyond just Williamsburg, which is where I’ve limited my time in the past. I’ve done Toronto and Vancouver and even the Yukon, but so far Montreal (and all of Quebec, actually) has remained a mystery. Montreal seems to be one of the most culturally interesting North American cities, so I hope to get a chance to check it out soon. Having recently discovered the thrilling news that Southwest flights to San Juan are basically the same price as flights to New York City, I am actively working out how I can travel to Puerto Rico this summer. I’m considering the logistics of a 5- to 7-day vacation with my partner that includes beach time, city exploration in San Juan, and a trip to the national parks and jungles. Maybe even a drive around the entire island, if time and finances allow. It seems like the Pacific Northwest is on my wishlist every year. 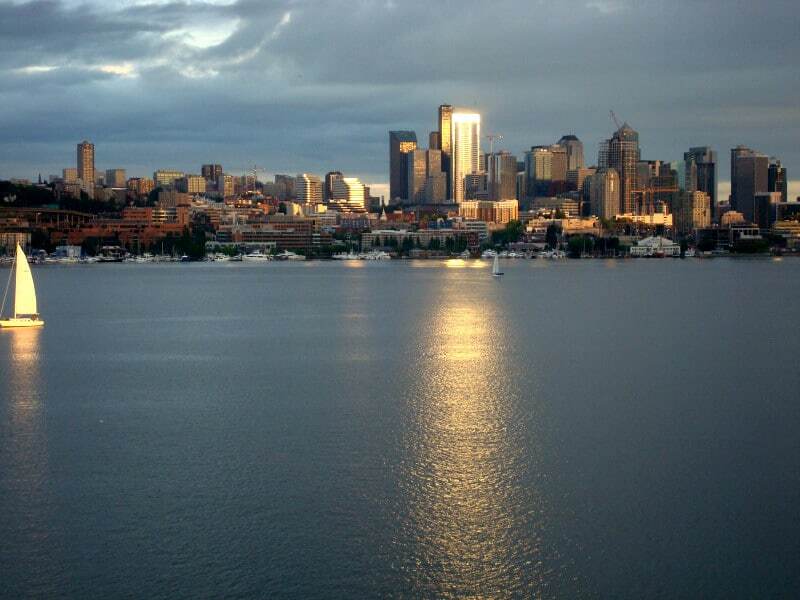 I love Seattle and can’t wait to go back, especially since it’s on the shortlist of places I may want to move to someday. The only tricky part about scheduling a Seattle trip is that if I go all the way out there, I’d want to also pop up to Vancouver and down to Portland, and doing that makes the journey expensive and time-consuming. Maybe I can force myself to be less ambitious and settle for seeing one great city instead of trying to squeeze in three. I love Mexico, and I’m itching to see a new side of it. Having explored the touristy beach communities of Cancun and Puerto Vallarta, as well as small towns in the Coahuila province, I’m ready to check out life in Mexico’s urban metropolis. My Spanish is slowly getting better, so maybe I can actually converse with people now. During my big cross-country van trip a few years back, I didn’t give Utah enough attention. A couple days in Salt Lake City was all I could spare. I imagine taking one epic trip and seeing Zion, Arches, Canyonlands, Capital Reef, and Bryce Canyon over the span of several days. Where do you want to travel in 2015? 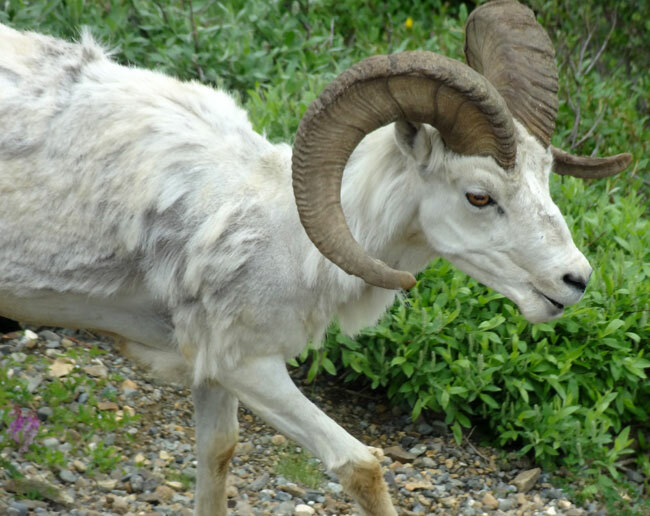 Glaciers, albino squirrels, massive sand dunes, bighorn sheep, and black bears. Yes, 2015 was a memorable travel year for me, and the best way to relive it is to take a look back at the highlights from the Quirky Travel Guy Instagram feed. Follow along as I recap the past 12 months, and let’s raise a glass to a great year of travel in 2016! My hometown provided a number of great sights this year, including the cool shot above taken at the Warhol Museum. I also saw bald eagles and other exotic birds at the National Aviary, then later in the year climbed aboard some of the nation’s fastest coasters at Kennywood amusement park and hung out with a dinosaur statue dressed like Mr. Rogers. My trip to the Denver area was a blast! I spent time in two of the country’s most underrated national parks: Black Canyon of the Gunnison, and Great Sand Dunes. I also got to check out some of the awesome street art around the Mile High City and a weird Humpty Dumpty figure in Colorado Springs. Noteworthy sights in Wisconsin included mac & cheese pizza in Madison, plus cheese hand towels and stuffed presidential heads in Kenosha. The small town of Olney is known for its white squirrels. These critters are so quirky and adorable! Glacier National Park and the surrounding area provided the most spectacular scenery of the year, including fake moose, real bears, and glorious mountains. First moose sighting of the trip. Oh hey, Mr. Black Bear. Spotted across the road from Many Glacier Hotel. This guy must have found some good roots or berries because he was up there for a good two hours. Evening at historic Many Glacier Hotel. First attempt at fly fishing. I might have caught dozens of huge fish. Maybe. Where the rocks meet the water. Look, it’s Santa Claus! The town of Santa Claus, Indiana, to be exact. It’s all Santa all the time in this crazy place. Finally, my current homebase of Chicago provided a ton of cool images this year, like a pic of boozy drinks atop the Signature Room at the John Hancock Center, a $10,000 bill from the Money Museum, Navy Pier fireworks from above, a shot of the glass balcony at the Willis Tower, hula spinners at a fire spinning event, and an awesomely-decorated holiday house. Illuminated hula hoops. Full Moon Fire Jam, Chicago. It was ‘AAA Amish Buggy’ in the kitchen kettle village in Lancaster. If you happen to go through them a girl named ‘Elsie’ was my driver and she was WONDERFUL!! 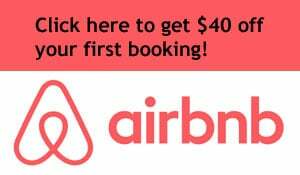 You can do private or group rides. I hope you experience is as enjoyable as mine was! Ive been in contact with them since and I will be conducting a full interview with ELsie next time im in PA. What I’d really LOVE is to stay the night…or maybe even a weekend with her family! That’s really cool. I’m hoping to do a weekend with an Amish family in Ohio in a couple of months. Hopefully it works out! It is funny all of us “life listers” writing our 2012 year in review but they’re much more fascinating than receiving the boring annual Christmas cards from distant relatives! An Amish buggy ride sounds like a great experience. I’m already trying to plan one myself for 2013. 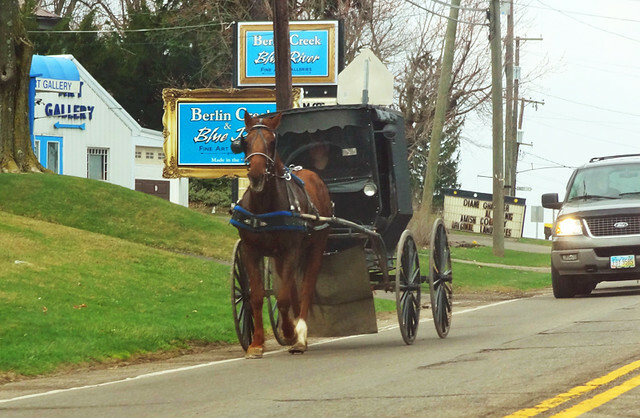 Was yours done through a tour group, or do you have personal Amish connections? 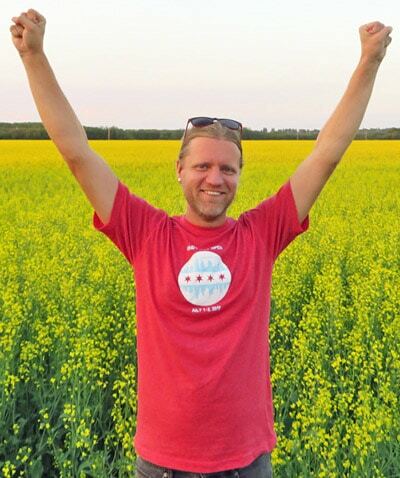 It definitely looks like you had an awesome year of travel, Scott. Best wishes for 2013! Thanks, it was a fun year of travel. Fun list! Been to some but not others. Sometimes I forget how much we have right in our own country! Merry Christmas! There’s so much to see right here. There are always interesting sights to be found no matter where you are! When you have to pare the list down to your, like, 10 favorite travel experiences of the year, you know life is pretty damn good. We feel grateful to have met you this year. Let’s hope our paths cross again in 2013. Great point. I made the right call by supplementing big vacations with short weekend bus trips around the midwest. Those ended up being a big part of the year. I will indeed be disappointed if we do not rendezvous in ’13. Many more Keilan fun NC stories coming in 2013! Oddly, I think my favorite travel experience this year was one I didn’t even understand. I went to a marionette show in a little attic theater in Brussels and didn’t understand a word. “Hamlet” in French. It was a hoot. Haha that sounds like a lot of fun. I’d love to see that in person. 1. Our trip to China- climbing the great wall, touring the Forbidden City, drinking Starbucks at the Beijing Trade Center- all with my partner and our son! 2. touring the White House during a 2 week trip to Boston and DC. I ordered the tickets thru our CA senators office 6 months in advance- and got the tickets!! The White House was magical! 3. Taking my partners 102 year old grandmother, Margarita, to Guadalajara for 5 days! while Guadalajara was a fun city, the highlight was experiencing the kindness of both airline and airport staff in helping Margarita. May 2013 be the same!! Happy Traveling/Happy Experiences to everyone!! Wow, awesome memories! I didn’t do my homework on visiting the White House so I didn’t get tickets in advance. Someday I’ll have to get around to seeing the inside. 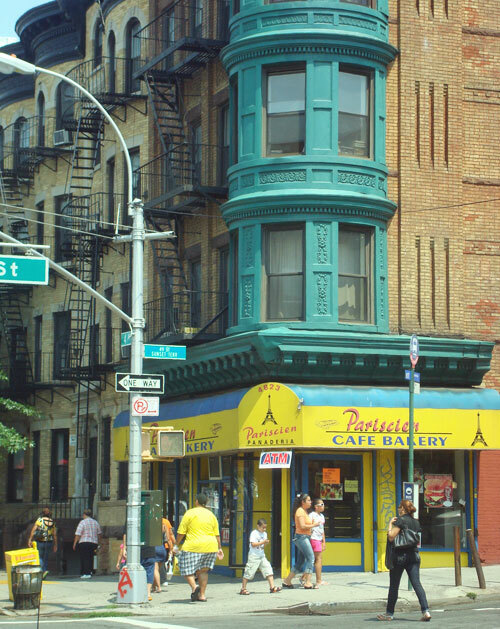 Your Guadalajara trip reminds me of when I took my grandmother to New York City. She had such a great time. Sounds like you had an awesome year! 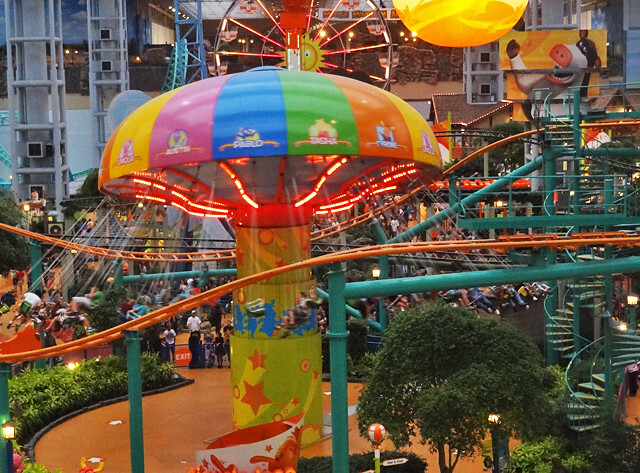 I missed your Mall of America post and off to read it now! It was a fun year for sure. I never really wanted to go to the Mall of America so I had to create a gimmick to make it worthwhile. Geez. How are you going to top all of this in 2013? May the new year bring you just as many great memories. Happy Holidays! Looks like you had a cool year! I think standing on top of the Great Wall was my top moment. That’s an amazing moment! I think the Great Wall is on everyone’s bucket list. I can’t wait to see it myself.